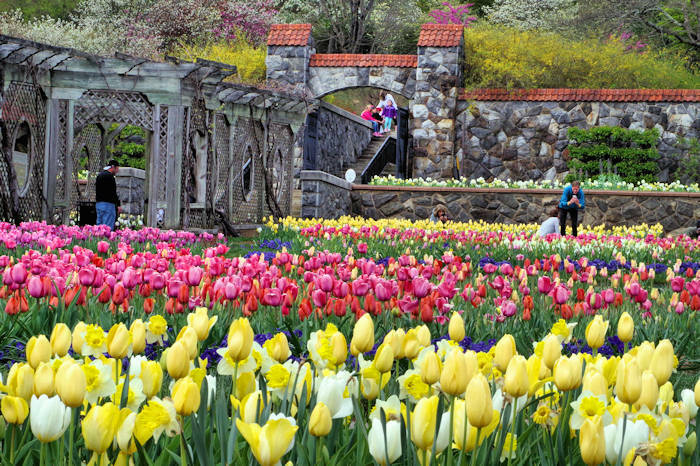 If you enjoy the outdoors, extend your visit at Biltmore an extra day to enjoy their great outdoor offerings. There are thousands of acres to explore, in addition to the grand gardens (read more). In addition to 2.5 miles of walking paths in the gardens adjacent to the house, head over to Antler Hill Village to find 20 more miles of biking and hiking trails. Also at the Village, discover a big variety of adventures at the Outdoor Adventure Center. There are many well-maintained trails to explore for all fitness levels. You can walk several miles around the gardens near the house, including a beautiful stroll around the Bass Pond (1/2-mile from the Conservatory in the Walled Garden and 1/2-mile around the pond). Our favorite hike at Biltmore is the Deer Park Trail. You can start this trail at the base of the wall corner of the South Terrace. If you are facing the house, turn left and follow the walkway down the steps and through the long trellis by the Shrub Garden. Go through the black iron gate onto rolling pasture land with sweeping views of the mountains. Shortly along the hike, you will look down into the Walled Garden. Remember to turn around to enjoy the fabulous side views of the house. The Deer Park Trail continues 1.3 miles to the Lagoon. There are a few hilly sections. 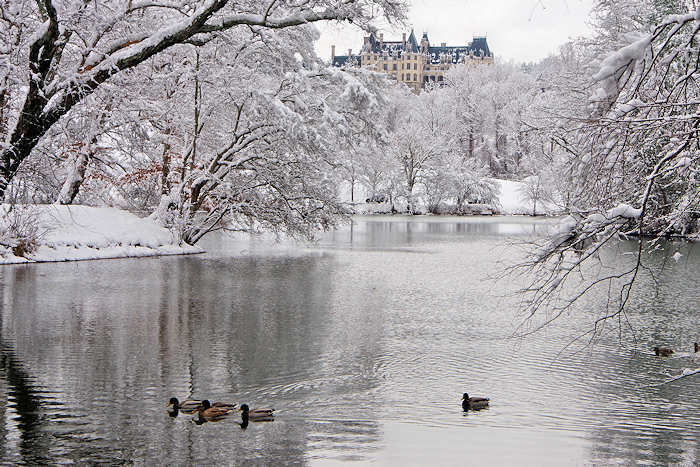 The Lagoon offers stunning views of the back of Biltmore House perched on the hill. To extend your hike, you can continue along the paved Lagoon Trail to Antler Hill Village (about 3 miles total one way). 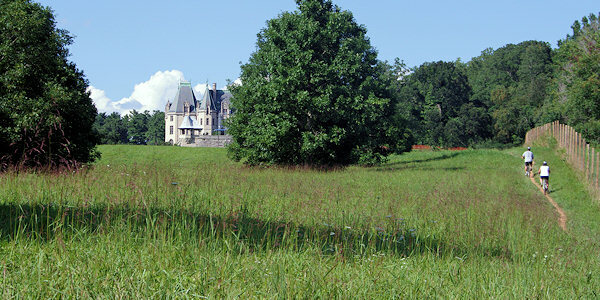 Biltmore has 23 miles of bike trails! Choose from challenging trails for experienced mountain bikers, an easy paved trail that follows the French Broad River or well-marked woodland trails that wind through quiet forests and wildflower meadows. Only the 1.7-mile Lagoon Trail is paved. It's a relatively flat ride that includes a stretch along the river. The others trails are packed dirt with varying degrees of difficulty, so a wider tire on the bike is needed. The Farm Trail is another flat trail that follows the river. The Westover Trails behind Antler Hill Village offer easy, moderate and difficult mountain bike trails. Many trails connect, so you can extend your ride easily. Bike rentals (cruisers, hybrids and mountain bikes) are available. Biltmore's Bike Barn, located on the second floor of Antler Hill Barn, is your one-stop location for all things biking. During April through December, take off on your all-terrain Segway after a solid training session with your guide. A variety of tours include ones for beginners and more advanced. 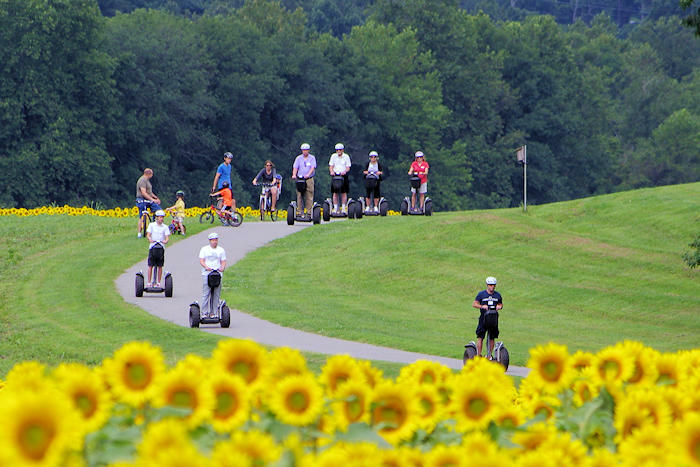 The West Side Segway Tour takes you across the French Broad River to the west side of Biltmore's estate. 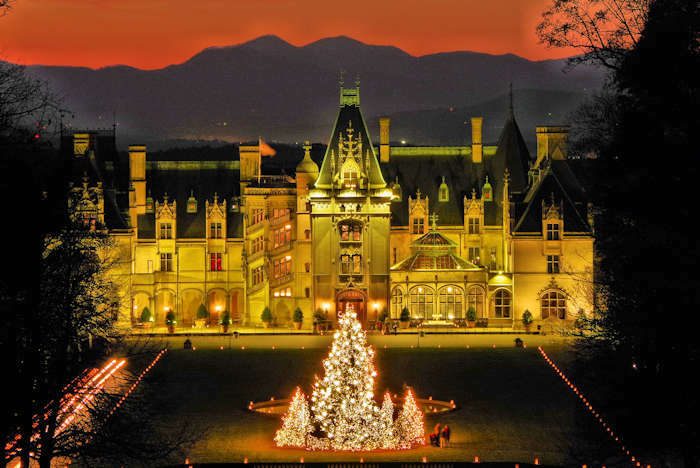 Click here to visit the Biltmore website for more details. 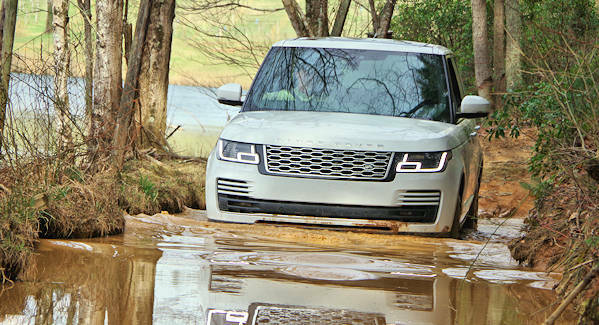 The fun adventure takes you off-road in remote areas of Biltmore Estate to tackle obstacles in a brand new Range Rover. After a quick overview, you are behind the wheel to navigate water, ruts, steep hills and more. Learn driving techniques to use on all roads. Read about the Land Rover Experience. Explore the estate’s off-road trails and scenic West Side roads aboard a new three-wheeled recumbent Outrider USA electric trike. The 2-hour guided tour begins with a safety and training session. This fascinating 90-minute adventure begins with an explanation of the sport and an introduction to these majestic birds of prey. Guided by a professional falconer, learn how to handle a trained hawk or falcon. Then experience the thrill of a raptor flying to and landing upon your gloved hand. Take a guided horseback expedition through the Biltmore Estate to match your skill level. The western-style, one or two-hour guided ride is perfect for beginner to intermediate-level riders. A private three-hour trail ride and picnic lunch is designed for someone with riding experience. Two-day advance reservations are required. Or, you can bring your own horse to explore 80 miles of trails with the Biltmore Equestrian Center. Read about more horseback riding nearby. No walking, jogging or biking is allowed on paved roads. This is very dangerous since sightseeing drivers are often looking away from the road. Since Biltmore is private land, you can enjoy outdoor recreation in a secure and safe environment. Trails are well-marked and maintained. And they are not crowded or heavily used like many of the trails in the surrounding National Forests. Enjoy a romantic picnic at several secluded, beautiful locations, like the Bass Pond overlook, behind the Statue of Diana, or on a bluff overlooking the French Broad River on Deer Park Trail. Pick up picnic goodies at the Bake Shop by the House. Early morning or early evening are great times to be outdoors, especially in the hotter summer months or if you want to see wildlife. Dogs are welcome, but they must be on a leash at all times. 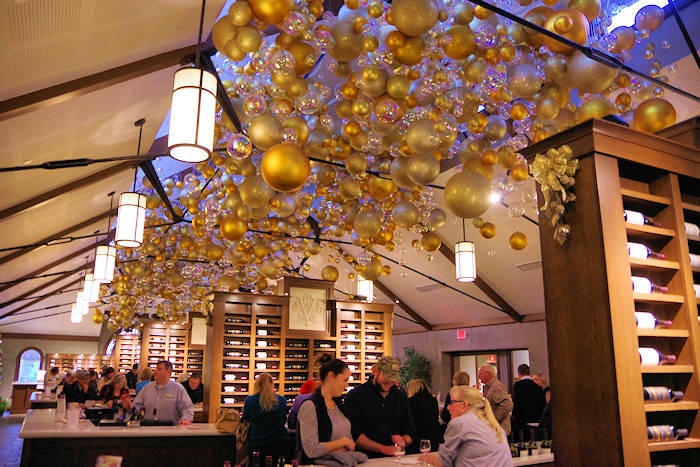 Go to the Biltmore website for the most updated list of options. 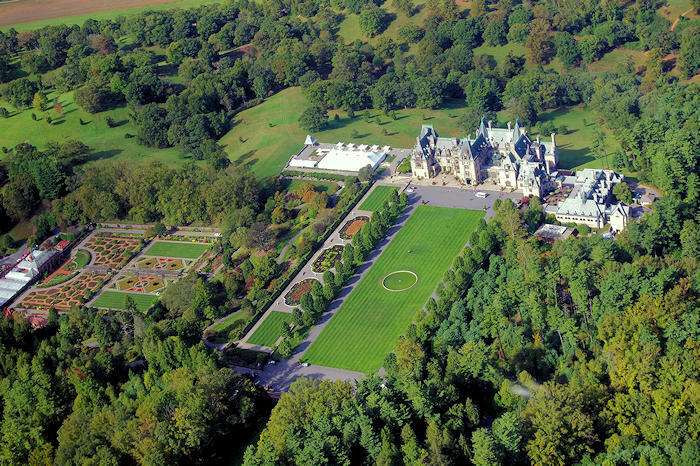 For more things to do on the estate, go to our Biltmore Insider's Guide.